AXA Venture Partners (AVP) raises $150 million for second Early Stage Fund. and commitment to early stage venture investing. development opportunities with the investors of the Fund. SaaS, consumer platform and SME solutions, with particular focus on fintech and digital health. investors to choose the most appropriate solution for tech investing. growth stage companies like Zenjob, Phenom People and Happytal. under management as of December 31, 2017. The EQT Ventures fund (“EQT Ventures”) today announces that it entered an agreement to sell its ownership stake in the Finnish mobile gaming studio, Small Giant Games (“the Company”) to Zynga Inc. (Nasdaq: ZNGA), a leading social game developer, headquartered in San Francisco, California. The implied valuation of the Small Giant Games transaction is at USD 700 million. EQT Ventures led a USD 5.7 million Series A round in March 2017 and then led an additional USD 41 million investment in January 2018. Founded in 2013, Small Giant Games’ team of 47 employees developed the hit franchise Empires & Puzzles. The game blends approachable Match-3 battles with deeper gameplay elements including Hero Collection, Base Building and Social Alliances. Just ten months after Empires & Puzzles’ launch in March 2017, the game had developed a strong new brand and loyal following, and Small Giant Games reported USD 33 million in revenues. In the first four months of 2018, the company had already exceeded 2017’s revenue. In addition, Empires & Puzzles has frequently made it into the the Top 10 Grossing Games on the Google Play Store and Apple App Store and has now been downloaded more than 26 million times. In March 2017, EQT Ventures led Small Giant Games’ USD 5.7 million Series A round and has remained the largest individual owner in the Company since. Following the successful launch of Empires & Puzzles, EQT Ventures was dedicated to supporting the Company’s continued growth journey and, at the end of January 2018, the fund led an additional USD 41 million investment. During the investment period, EQT Ventures – with its team’s mobile gaming experience – supported the Company as it sought to scale Empires & Puzzles. EQT Ventures is a multi-stage VC fund with commitments of just over EUR 566 million. The fund is based in Luxembourg and has investment advisors stationed in Stockholm, Amsterdam, London, San Francisco and Berlin. Fuelled by some of Europe’s most experienced company builders and scalers, EQT Ventures helps the next generation of entrepreneurs with capital and hands on support. EQT Ventures is part of EQT, a leading investment firm with more than EUR 50 billion in raised capital across 28 funds. EQT is a leading investments firm with more than EUR 50 billion in raised capital across 28 funds. EQT funds have portfolio companies in Europe, Asia and the US with total sales of more than EUR 19 billion and approximately 110,000 employees. EQT works with portfolio companies to achieve sustainable growth, operational excellence and market leadership. Small Giant Games was founded in early 2013 with the belief that small, talented teams can do extraordinary things. We bring years of experience to the table, with a crew of top players in game development, software engineering and graphic design. We’re based right in the heart of downtown Helsinki, Finland. Graphcore has built a completely new kind of processor and software for AI and machine intelligence. It has been shipping first products to early access customers and generated first revenues this year, just two years after the company was founded. High volume production is now ramping up to meet customer demand for its Intelligent Processing Unit (IPU) PCIe processor cards. Graphcore’s IPU is the first processor to be designed specifically for machine intelligence training and inference and delivers an increase in speed of 10x to 100x compared to today’s hardware. “Graphcore is changing the paradigm of AI computing in the cloud and at the edge. The highly efficient and massively parallel IPU technology can significantly improve AI driven products in many categories such as autonomous driving and security”, says Dr. Hongquan Jiang, Investment Partner at RBVC and board member of Graphcore. “We are very excited to accompany Graphcore’s journey in becoming a global leading AI company”. Robert Bosch Venture Capital GmbH (RBVC) is the corporate venture capital company of the Bosch Group, a leading global supplier of technology and services. RBVC invests worldwide in innovative start-up companies at all stages of their development. Its investment activities focus on technology companies working in areas of business of current and future relevance for Bosch, above all, automation and electrification, energy efficiency, enabling technologies, and healthcare systems. RBVC also invests in services and business models as well as new materials that are relevant to the above-mentioned areas of business. Graphcore’s Intelligence Processing Unit (IPU) hardware and software lets innovators create next generation machine intelligence solutions. The IPU is the first processor to be designed specifically for Machine Intelligence and delivers between 10x to 100x speed up compared to today’s hardware. Graphcore has raised over $300m in funding from leading financial and strategic investors and is headquartered in Bristol UK, with offices in London UK, Oslo Norway, Palo Alto USA and Beijing China. and abroad. As Pass French Tech prize-winner last July, happytal will also draw on funds raised to enhance its hightech platform, which is blazing a trail in making online patient procedures user-friendly and easy. and carers from nearby the health establishment, thereby contributing to local economies. on more staff and continue to invest”. of choice for patients and their loved ones”. them remotely. happytal’s solution also extends to a broad range of hospital services designed to enhance hospitals’ appeal and put patient procedures online – online pre-admission, online private room request, discharge lounges, real-time satisfaction measures etc. AXA Venture Partners (AVP) is a venture capital fund investing in high-growth, technology-enabled companies. AVP manages $450m broken down between $275m direct investments and $175m for its Fund of Funds business. To date, AVP has invested in some forty seed and growth equity deals. AVP teams operate globally backed by offices in San Francisco, New York, London, Paris and Hong Kong. Two billion people – or 80% of the world’s workforce – do not spend their day at a desk. As a result, this massive scattered workforce is often forgotten when it comes to the rapid advances in workplace productivity software the rest of us often take for granted. In many industries, knowledge workers back at HQ get more and more productive while others in the field are often left to fend for themselves. One of the core problems with workforce communication and management: in the absence of a a corporate email address, how does a security worker talk to HR? How does a cleaner reach out to a colleague or manager? Aligning employees without email addresses or corporate devices with the entire organisation in a centralised, secure environment is a major challenge. 75% of the non-desk workforce currently use their personal mobile devices to communicate with co-workers, and the lack of functional tools usually forces employees to use consumer-based workarounds like WhatsApp or Facebook Messenger. Even aside from the obvious management & oversight challenges associated with this, cybersecurity scandals and GDPR compliance drive home the inadequacy of this approach. Beekeeper has emphatically solved this problem. They’ve built the world’s most flexible secure communication and operations platform for non-desk based and on-demand workers. Powerful tools to allow communication between workers and managers means higher team engagement, a more cohesive culture and reduced turnover. Over the last few years, we’ve watched Beekeeper founders Cris & Flavio and their team build a world-class product and exceptional culture. They’ve gone head-to-head with some of the world’s leading employee communications platforms, and won. Repeatedly. They are the perfect example of best in class SaaS products we believe will continue to emerge from Europe at an accelerating pace. Beekeeper’s approach – which was designed for the hospitality, manufacturing, retail, construction, transport and logistics, food production, NGOs and healthcare industries – takes into account how diverse staff can be today. Employees and managers can communicate across languages and geographies using one unified app. Utilising the latest approaches in machine translation, Beekeeper can translate seamlessly across languages – a feat that would have been impossible just a few years ago. We were impressed to see the team realize the importance of building security, compliance, and integration at the core of the app, making a point of hiring a veteran executive to lead compliance early in the company’s history. The result is a platform that consistently wins over security conscious yet user experience driven enterprises, from Hilton to Heathrow. At Atomico, we back founders using technology to rewire the world towards something better for as many people as possible. We believe technology should make a positive impact on everyone’s lives and work. This is why we are proud to join our friends at Keen Ventures and co-lead Beekeeper’s Series A extension. We’re in good company – a diverse group of strategic investors is enthusiastically joining us, including Samsung NEXT, Edenred Capital Partners and Swiss Post. Beekeeper joins the stable of enterprise SaaS companies that Atomico is proud to support, including Pipedrive, Bitmovin, and Scandit. One thing they all have in common is that they’ve set the world in their sights from the get-go. Beekeeper calls Switzerland home but already serves customers in 130 countries. We look forward to helping Cris and the Beekeeper build the category winning company we see them being. Now, more than ever, it’s critical that non “knowledge workers” aren’t left behind by the digital transformation occurring absolutely everywhere. NEW YORK, Aug. 14, 2018 /PRNewswire/ — IrisVR, the leading immersive design review and collaboration software for the Architecture, Engineering, and Construction industries, is thrilled to announce a new native Beta integration between Prospect and Autodesk Navisworks as part of their latest release. Launch Navisworks files in VR with one click in IrisVR Prospect 2.3. This new Navisworks beta integration will let construction and engineering teams quickly launch 3D models in VR, meaning faster, more efficient model reviews. The ability to capture issues in the model before construction begins will save thousands of dollars and avoid delays. “While the architecture community and some construction firms have been early adopters of VR, the Navisworks plugin now enables construction teams to perform design review, QA/QC, and coordination in 1:1 scale, taking out the ambiguity of 2D coordination and driving much clearer communication,” says IrisVR Co-founder and CEO, Shane Scranton. The first beta release supports a basic geometry and file structure export that will allow you to select individual elements in VR. IrisVR is already working to expand these capabilities to provide support for full BIM data, advanced clash detection, project timeline tools, and more. For a look at how the Navisworks plugin works watch this quick video. The new Prospect release also includes other features beyond the Navisworks integration that enhance design review workflows for AEC professionals. A new feature will allow users to hide or unhide any selected element which provides greater visibility into the inner workings of a building. Improved teleportation with a door fade feature, section capping, and Multiuser Meeting host controls are also included in this launch. AEC firms across 105 countries have been using Prospect to improve design communication internally and with clients, speed up design approvals, collaborate with teams all over the world, and coordinate across disciplines. For more information and to start a free 45-day trial of Prospect, visit irisvr.com. IrisVR creates the leading software tools for immersive design review and collaboration. Prospect by IrisVR is a desktop product used by design firms, BIM and VDC teams, and engineers to instantly communicate design intent and regularly collaborate with stakeholders around the world. 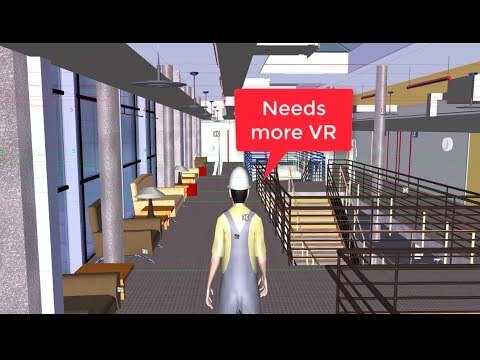 Because IrisVR integrates with Revit, Rhino, SketchUp, Navisworks, and other 3D tools out of the box, you can generate immersive walkthroughs in less than 10 seconds. Try Prospect free for 45 days. ROTTERDAM, July 31, 2018 – Dutch corporate investment fund KPN Ventures announced today it has participated as lead investor in the $3.5m seed round of ZecOps, a cyber security startup based in San Francisco and Tel Aviv, focusing on automated threat analysis. “We were surprised with the overwhelming demand for our products. It can be exceedingly difficult to innovate in a crowded market like the cyber security space – but we were able to do it effectively. Consequently, the reactions from CISOs around the globe made our efforts worthwhile,” said Mr. Avraham. “In the last year, we detected multiple APTs for a variety of businesses, a rare achievement especially for a one year old company”. 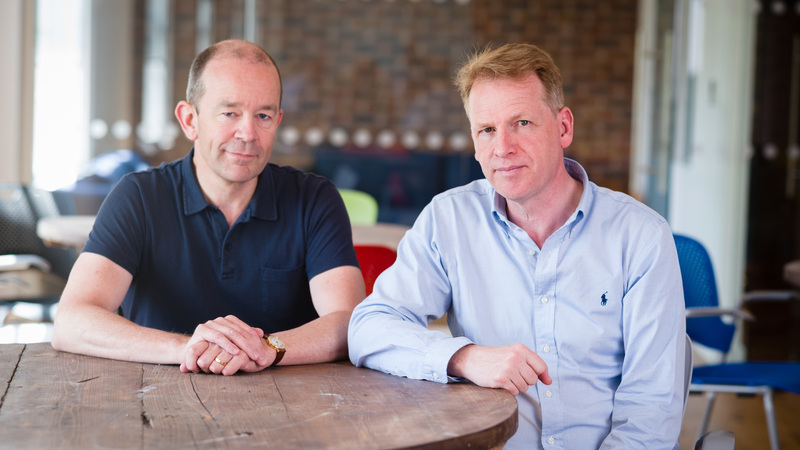 Today, we’re delighted to announce our investment in Lime. Led by co-founders Brad Bao and Toby Sun, Lime is an organisation driving behavioural change at mass scale and lightning speed. We set out to back founders who can address the world’s biggest challenges, and improve the way we live. Moving more people more frequently, decongesting cities, and improving air quality for those who live there, are certainly monumental challenges. Lime’s e-bikes and scooters tackle them in a sustainable, affordable, and convenient way. At Atomico, as mobility continues to be disrupted, we are looking to back multiple solutions – especially if consumers love it and it is better for the city too. One of those areas is micro-mobility. The ability to unlock, jump on and off Lime’s distinctive electric scooters anywhere is already delighting city-dwellers in over 70 locations across the US. In San Francisco, each of the company’s scooters is used an average of nine times a day. It is clear the ‘form factor’ of the electric scooter is going to be a hit for shorter journeys where ride-hailing, public transport or even walking is not quite right. The team has ambitious plans for European expansion, and we are proud to be their European investor as they scale to our continent. We’re joining the deal with other global investors GV, Andreessen Horowitz and Uber, whose excitement for Lime we share. This is the ideal juncture for Atomico to partner with Lime. In the last decade, we’ve developed Atomico into a platform for sharing operational experience with our portfolio companies. We’re privileged to work with Brad and Toby, and excited to put our hard-won experience to work for Lime.